"He was ecstatic, like a little kid. It reminded me: I used to be like him, not really caring, just going out and having fun. That was the start of my loving the sport again." - Leo Manzano on Andrew Wheating in Monaco, where Wheating ran his PR and Manzano finished last. After that race, Manzano went on a tear, giving Asbel Kiprop a scare twice and running his 3:32.37 PR. The quote is from an excellent NY Times profile on Manzano. 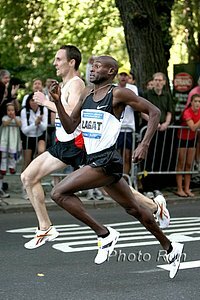 Watch Manzano take on Bernard Lagat, Alan Webb, Nick Willis and Amine Laalou live Sunday on LetsRun.com at 12:50 pm Eastern. Do you know any truly rich people (someone who consistently maked $500+k per year)? Patrick Makau And Geoffrey Mutai Lead Charge In Berlin Marathon, Could The WR Fall? 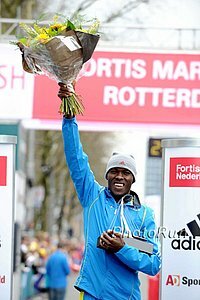 Makau was a half marathon phenom who seems to have quickly figured out the marathon (running 2:04:48 in his 3rd marathon). Berlin has 3 sub-2:05 guys in the field. Previous: From Bored With Running As A Child To Berlin Marathon Contender This IAAF piece has an interesting look at Germany's top contender for Sunday's Berlin Marathon, Sabrina Mockenhaupt. Indian Slum Demolished And Visitor Cries, "You will play games while we will die." Recommended Read 10 Years After Speeding To Olympic 100-Meter Glory, Marion Jones Is Now Teaching Others (And Herself) To Slow Down Before Making Big Decisions Australia's Daily Telegraph has written a very long piece on Jones, who is busy giving speeches to schools and writing a book due out Oct. 24th. This is the best 5th Avenue Mile on the men's side we can remember (the tactician Bernard Lagat vs. the hot Leo Manzano vs. a fast-improving Alan Webb vs. Nick Willis rounding into form for Commonwealths, not to mention Amine Laalou). Pro races start at 12:50 pm Eastern with a live feed on LetsRun.com. We've got 2 great reads below to get you psyched for Sunday.